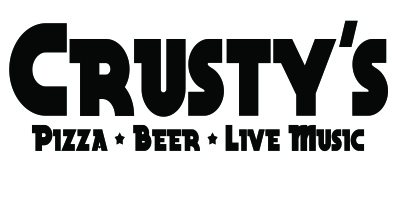 Vern Loveall first started Crusty’s over 10 years ago and his idea was to never charge a cover for live music and that tradition lives on today. Every year Crusty’s Pizza provides top-level FREE live music year around, but these shows come at a price. We spend over $15,000 a year to provide free live music and bring a sense of community within McCall. Shows include Jeff Crosby and the Refugees, Josh Hoyer and the Colossals, Scott Pemberton Trio, Fruition, Voice of Reason, The Quick and Easy Boys, and local artists Brian Mac Donald, Dave Green, Noah Kadre, Spencer Batt, Carter Freeman, Ben Burdick, Blaze and Kelly, and many more. To support free live music donate at GoFundMe, but our preferred method is to drop off your support at Crusty’s or mail us your donation.